Leveraging patentable technologies for competitive leadership. To develop new products and services that leverage patentable technologies for competitive leadership and insulation. 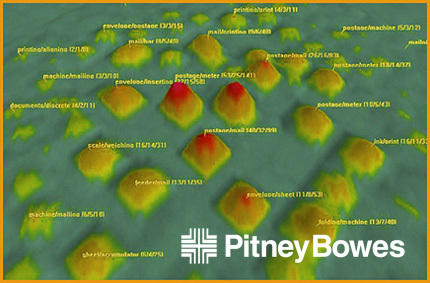 Pitney Bowes leveraged our CoLab™ process to uncover new customer insights, and our TechMax™ process to engage science and technology experts to develop new, patentable technologies to address those insights. Our work is credited with over 200 new patents supporting a wide range of products and services in the Pitney Bowes portfolio.